NeocoreGames announced today that they will be bringing The Incredible Adventures of Van Helsing II to the Xbox One next month. The second chapter of the vampire hunter’s epic was originally released for Windows PC back in May 2014. Starring the son of the legendary Abraham Van Helsing, The Incredible Adventures of Van Helsing II continues the story that began in the previous chapter, as Van Helsing returns to Borgova in order to run out the monster menace that is currently running wild in the city. Besides continuing to tell the story of the titular hunter, the sequel offers several improvements over its predecessor. The mechanics introduced in the first chapter have been reworked and improved, while new abilities let players continue to refine the class of their choosing. Borgova has also been expanded, so Van Helsing can take his battle to new sections of the Gothic city. NeocoreGames producer Zoltán Pozsonyi spoke about why now is the time for Van Helsing II to come to the Xbox One. We were very happy to see that so many of the Xbox One players enjoyed Van Helsing and we’re excited to bring them the next chapter of our award-winning trilogy. We really hope that they will have just as much fun playing it, as we had creating it. I, like I’m assuming many Xbox One owners, got the first chapter of the franchise when it was offered through Games With Gold late last year. And although I have yet to sink my teeth in it, I’m glad that NeocoreGames is bringing the sequel to the platform. For those that enjoyed the original, it’s great that they can continue the story without having to move to a different platform. 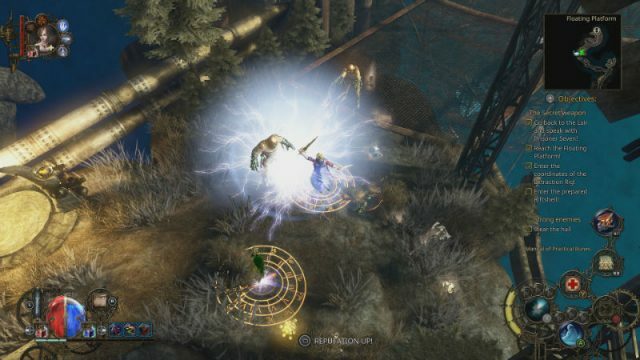 The Incredible Adventures of Van Helsing II will hit the Xbox One on July 1 and will carry a cost of $14.99. Additionally, two DLC packs, Che Domovoy Minipet and Expurgator Set, will release the same day. Both of them will be available for only $0.99.